Timo Viitanen got inspired by the video “28 Hours In Jyväskylä” on Youtube and started making his own video of Helsinki. 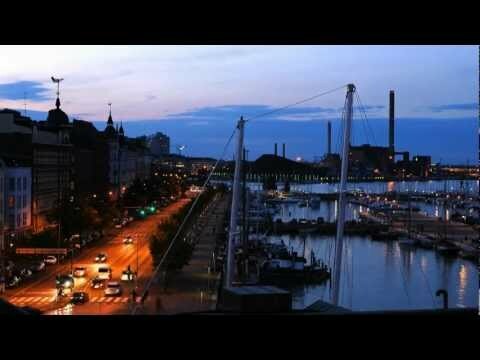 He took his Nikon D80 camera on different locations in Finland’s capital city and shot beautiful time lapse clips with it over the course of two years. Then he put it all together to over a 8-minute-video showing Helsinki in all seasons. Watch trains go by, planes landing and cruise liners to leave and return to the harbor. See how snow from the city’s streets is dumped into the sea and stirred with the excavator and much more. Music by Robert Meyers with the song “The Magnificient Escape”.